The Washington Capitals can both score and allow goals, and in an entertaining display of up-and-down playmaking, out-skilled and out-buried the LA Kings in the type of track meet game the visitors would have hoped to avoid. Los Angeles experienced defensive zone and transition lapses, but let’s face it, there was a pretty significant skill […]The post Waking up with the Kings: February 12 appeared first on LA Kings Insider. We&#8217;re still two weeks away from learning exactly where the LA Kings&#8217; draft pick acquired in the Jake Muzzin trade will land, but by virtue of Toronto&#8217;s first round exit, the Kings now know they&#8217;ll end up with either the 20th, 21st, 22nd or 23rd overall pick. 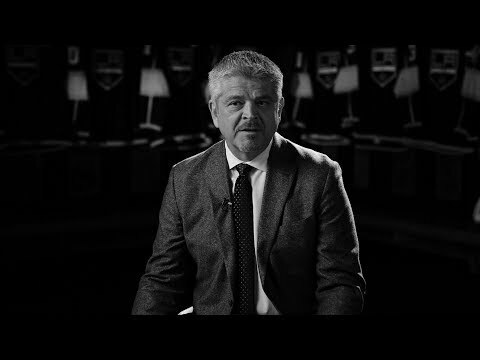 CapFriendly, as it often does, lays it out [&#8230;]The post Leafs exit moves Kings&#8217; first rounder to 20-23 range; other conditions appeared first on LA Kings Insider. The LA Kings have signed defensive prospect Mikey Anderson to a three-year entry-level contract. Anderson, who turns 20 one month from now, is a back-to-back national champion at Minnesota-Duluth and captained the United States to a silver medal at the World Junior Championship one year after earning a bronze as an 18-year-old underclassman. One of [&#8230;]The post Back-to-back national champion Mikey Anderson signs three-year ELC appeared first on LA Kings Insider. When it comes to goaltender Cal Petersen, it would be foolhardy to analyze strictly based on his numbers from this past AHL season. If you don’t use context, you’ll be misled. The statistics saw Petersen’s goals against average rise from 2.58 to 4.02, his save percentage fall from .910 to .896 and his win-loss record [&#8230;]The post Petersen continues development arc in Year 2 appeared first on LA Kings Insider.